Privacy mattered in those days, even considering that the ‘net was such a small place (only 10 million web pages by the time you launched your first Google prototype! 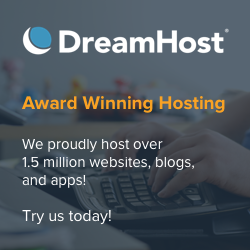 How many are stored on your servers’ memory these days? In 2008 or 2009, I believe it was over 6 billion pages). But there was a whole atitude that was part of being a netizen — a citizen of the Internet. And you and Sergey embodied that atitude quite well on the “Ten things we know to be true” philosophy for Google: namely, 1. Focus on the user and all else will follow and, more importantly, 6. You can make money without doing evil. The do-no-evil policy has been pretty much the trademark of Google over the time, and is still what makes Google and Google’s products and services unique: to the best of my knowledge, no other company has stated that so clearly and stuck to it for so many years as a fundamental principle in their business relationships. I haven’t registered with Google for an account since the very early days, where pretty much the only significant service was Gmail; nevertheless, since the earliest “beta” search engine was released by you guys, I never felt the urge to use any other search engine. I’ve signed up with Gmail in September 2005 or so, not really because I needed the service (I run several servers and have plenty of mailboxes in them), but because even though Google was already a giant back then, I still felt that supporting your efforts would be great. Since then, you have added so many products and services that I cannot claim to have used all of them, but certainly a large part of them; and in my professional activity as an IT consultant, I actively recommend clients to switch over to Google — like dozens of millions of other IT professionals. As an eager Second Life resident (user), when launching my own Second Life-related services and products, I found the amazing ability to precisely target Google AdSense ads to my intended audience very valuable. In the early days of Second Life, there were few websites with information and news about Second Life, so I attracted some traffic — enough for Google Ads to finance not only my website’s annual lease, but the costs of maintaining a Premium account with Linden Lab, Second Life’s creators. What was very important for me was the ability to show Second Life-related ads on all the sites I run, and, conversely, to make sure that my own ads would appear on other Second Life-related sites. Your service allowed that very easily, because Google users who happened to be Second Life users were so easily identified: their Google Profiles would tell the whole story. Now, Second Life users are a 20-million-user market. Small, yes, when seen at a global scale; but not that small. My own country, Portugal, has just half that amount of inhabitants (and not everyone is — yet — connected to the Internet). In fact, only 50 countries in the world have more than 20 million inhabitants, and that never prevented you to make business with countries like Sweden, Norway, Denmark, Finland, Belgium, the Netherlands, Switzerland, Israel, or Ireland, just to name a few. The vast majority of those Second Life users — certainly not all, of course, but a huge proportion — have Gmail addresses, and thus Google Accounts as well. 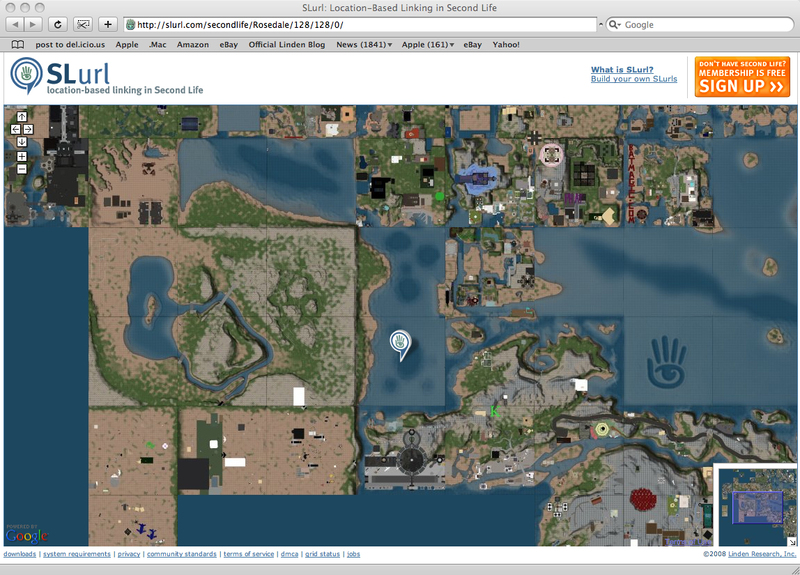 When you launched Lively, it was quite interesting to see that the majority of early users were all Second Life users. When you launched Wave and now Google Plus, I wasn’t surprised any longer with the sheer amount of Second Life users who immediately joined the service: Second Life users, in general, are always eager early adopters. And my, are they vocal! Allegedly, Plurk only remains in activity because it’s one social network favoured by Second Life users, which use it all the time. Since Second Life is effectively the only remaining three-dimensional social virtual world in existence (a statement that might be contested by some, but I will still stick to that claim), no wonder that its users are eminently social. And they use the Internet a lot: so much that Treet.TV, a streaming video network which provides video content around the clock only for Second Life users, claims to have as many or more viewers than several channel networks. Borrowing the words of Linden Lab’s CEO, Rod Humble, there is a whole ecosystem out there which is spun around Second Life. Second Life is merely the pretext, not the main reason for people to get together, meet, and exchange information — publicly. 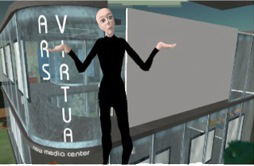 And that information gets shared throughout the world using all sorts of technologies — even in the academic world, since Second Life is a very active area of research. One of my personal areas of interest is integration. It was with great eagerness that I managed to integrate Google’s translation services with some Second Life objects (these days, the Second Life viewer, as well as most derivative viewers, all include Google translation for in-world chat). And Linden Lab dropped their own internal search engine and opted to buy a Google Search Appliance instead. So there is definitely a lot going on between Google, Second Life, and Linden Lab; many, including myself, even joked about a possible acquisition of Linden Lab by Google. Mostly because of Google’s “do no evil” stance, the majority of Second Life users actually would look at that possibility in a very favourable light — even if it meant that all advertising in Second Life would be taken over by Google Ads. But that, in itself, is generally not seen as being so bad. This was the scenario when Google Plus launched: a community of roughly 20 million potential users who were quite eager to see Google “take over” the market dominance of web-based social networking currently held by Facebook. And why the eagerness? Very simple. Because, unlike Facebook, Google has always stuck to the old ideal that privacy is important, as opposed to Zuckerberg’s Privacy is Dead mantra. And in this era where people publish too much about their personal information and share way too much — mostly because of a certain innocence of not recognising the inherent danger — Zuckerberg’s statements are subversive and shatter the foundations of our democratic societies. The right to privacy is not merely an utopic ideal. It’s embodied on the United Declaration of Human Rights (Article 12), and the International Covenant on Civil and Political Rights (Article 17), which are signed by pretty much every country of the world, even a few that aren’t democratic. The important thing to remember is that the right to control one’s own privacy is an unalienable right — not only in the US, but in most countries of the world. You might argue that people only volunteer the information they wish when using Google’s services. That’s true. But allegedly you’re now demanding that people only use the name “that one commonly goes by in daily life“. That is a little better than what Facebook demands — nothing less than a valid ID card to subscribe to their service — but it’s way too vague. Who defines the name “that one commonly goes by in daily life”? Under the many international treaties regulating privacy and human rights, there is only one person that has the right to define that: the person itself.